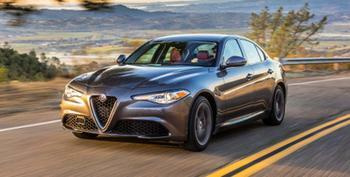 Chrysler (FCA US LLC) is recalling 37,228 model year 2017-2018 Alfa Romeo Giulias and model year 2018 Alfa Romeo Stelvios equipped with 2.0L engines. The engines may misfire causing the catalytic converter to overheat, possibly resulting in damage to the nearby wiring and engine components. Chrysler will notify owners, and dealers will inspect the vehicles for diagnostic codes, and update the engine control module software, free of charge. Owners may contact Chrysler customer service at 1-844-253-2872. Chrysler's number for this recall is UA4.